Store, dispense and cut sealing film. 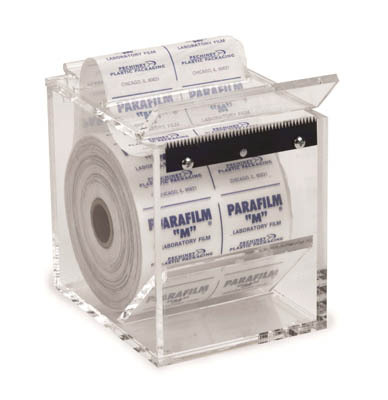 Fisherbrand™ Acrylic Parafilm™ Dispenser features a serrated cutting blade to easily slice film. Sturdy dispenser holds 50mm or 100mm rolls without cluttering your workspace. Clear sides make it easy to monitor inventory level.